3Air is the technological heart of the fork Nero R, a three air chamber system that allows full customization of the spring curve. The big advantage is not only to be able to shape the fork’s performance the finest amount but also to do it quickly and easily: all you will need is a shock pump. Quickly find the perfect setup for your fork. 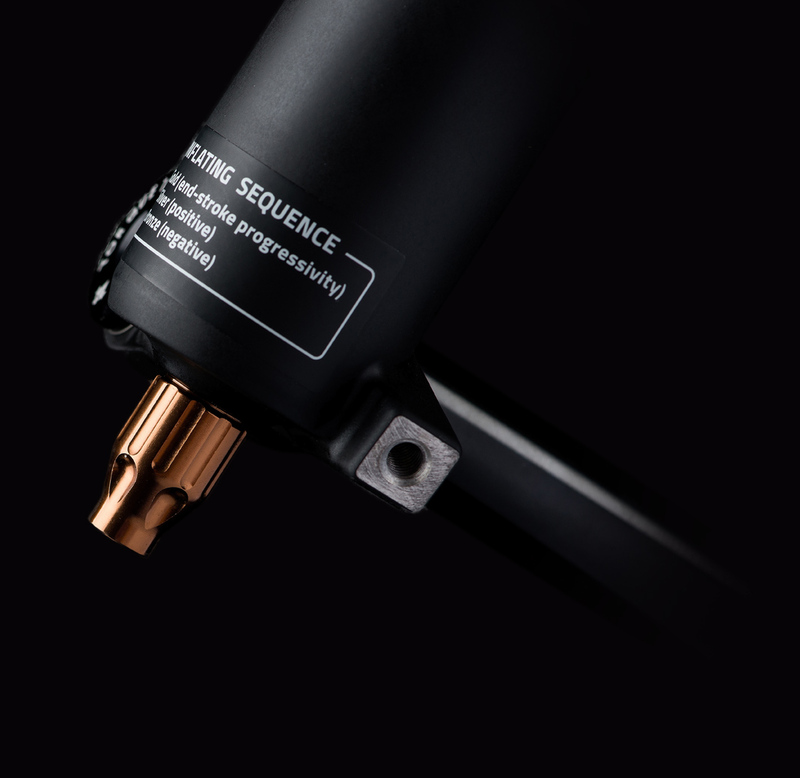 The range of adjustments are so wide that you will be able to manipulate the spring curve using only air. In other words, the advantage of the 3Air system is to be able to obtain any type of performance, including the feeling of a coil spring, but with fine-tuning options that a traditional air system, or a coil spring, can’t provide. Furthermore, given the short amount of time you need to set your bike up, you can stay focused on choosing the lines for your race run. 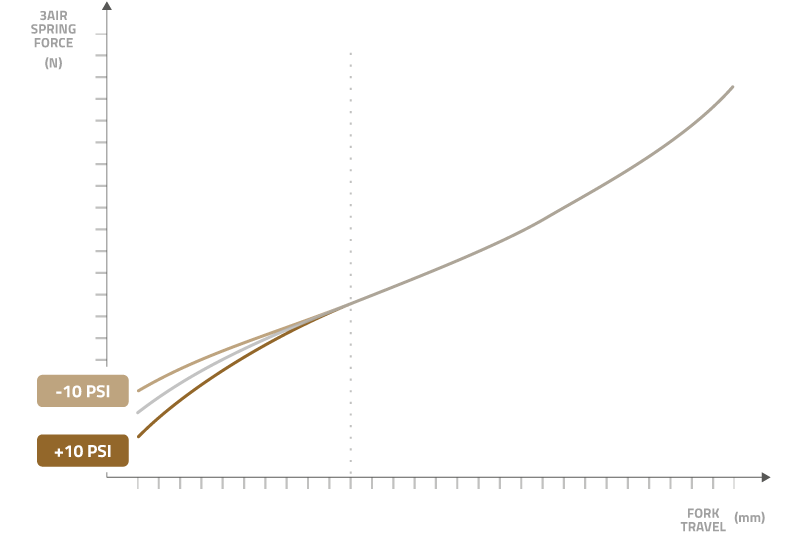 The Gold valve of Nero R controls the end-stroke progressivity of the spring curve. This chamber is the heart of the innovative 3Air system. The third chamber of the Nero R is not a traditional bottom-out chamber. 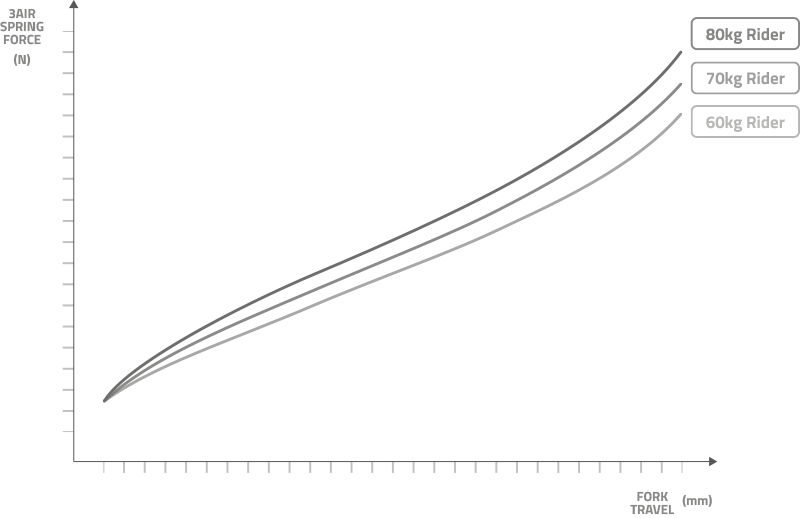 As a matter of fact, a standard bottom-out operates only at the end of the travel and often in a sudden, uncontrolled way. Basically, a traditional bottom-out merely increases the spring rate massively at the end of the stroke to reduce bottom-outs. However, the third chamber of the Nero R allows to fine tune the compression curve from about half of the travel to the end of the travel, thus allowing the rider to reach extremely accurate setup and customisation levels. The setup of the Nero R is extremely simple; you just need to follow the pressures suggested on the pressure chart you’ll find on the fork. Always remember to follow the inflating procedure in order to reach the desired setup. The Gold valve is always the first to be inflated, the Silver valve (positive) is the second one, while the Bronze valve (negative) is always the last one to be inflated. The procedure is simple, just remember the sequence of the World Champs podium: Gold, Silver and Bronze. The negative chamber of the Nero R is controlled by the Bronze valve. Through this valve, you can fine-tune the feeling of the fork in the initial part of the travel. 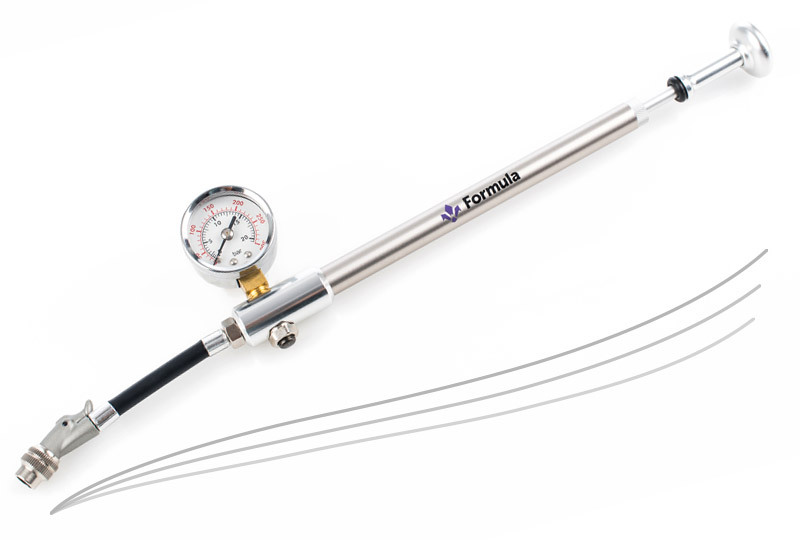 If you are looking for more compliant performance over small bumps, you will just need to add few PSI, whereas if you are looking for a firmer feeling at the beginning of the travel, then you will have to decrease the pressure by a little. Even in this case, you will have a full control and you will be able to shape the first part of the travel according to your riding style or to the specific requirements of a track. The procedure is very simple – all you have to do is to use a shock pump. 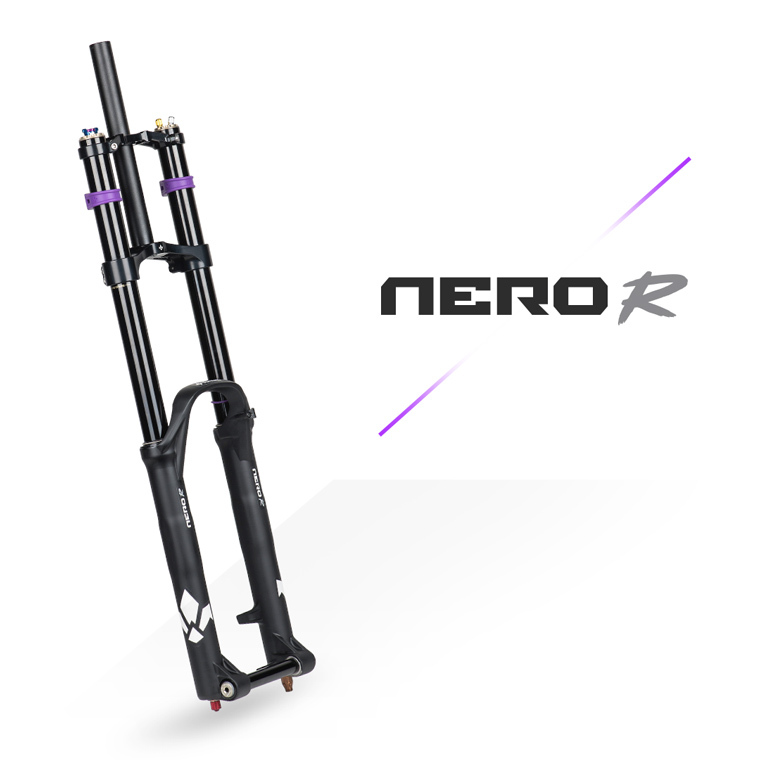 Every Nero R fork is equipped with a cutting-edge high pressure pump compatible with all suspension brands. If you want to personalise your setup, the 3Air system gives you almost limitless possibilities. 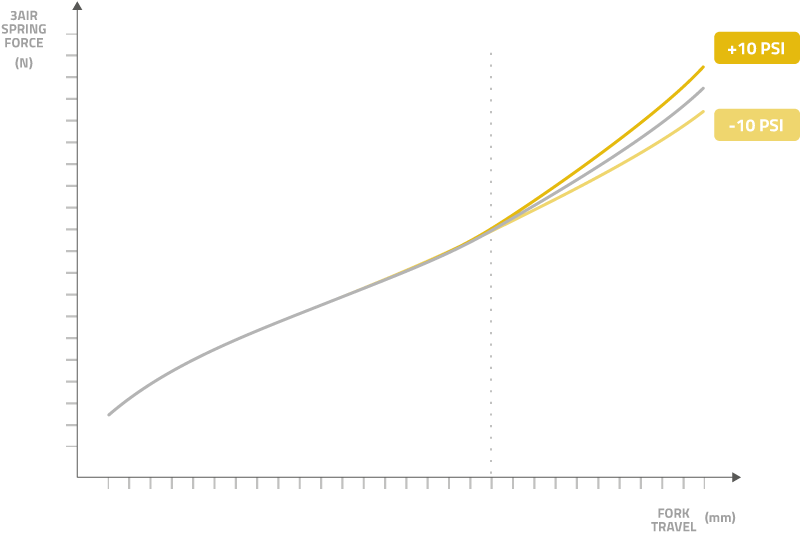 All it takes is to follow three simple rules: 1) always respect the inflating sequence: Gold, Silver and Bronze; 2) Always inflate the Gold valve with a pressure that is greater than or equal to the pressure in the Silver chamber; 3) always inflate the Bronze chamber with a pressure at least 20 PSI greater than the pressure in the Silver valve. The 3Air system introduces the possibility to customize your fork to a new level. Saving time in the pits means also saving it in your race run. A fork that is quickly and easily adaptable to the needs of different tracks and different weather conditions gives a considerable advantage against the clock.